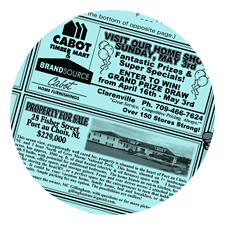 Boost sales and blast your promotions directly to local customers with TAKE 5, Clarenville’s only weekly publication with over 10 years in service providing advertising and light-hearted entertainment for service counters, waiting areas and businesses all across the region. 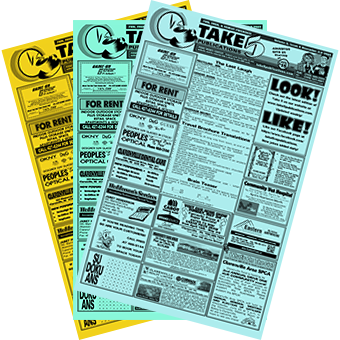 1000 copies of our free publication are distributed and placed for browsing in high traffic business areas. Statistics on similar publications in comparably sized towns show each paper is read by at least 4 to 5 people on average. Choose from our scalable monthly to yearly advertising campaign packages. 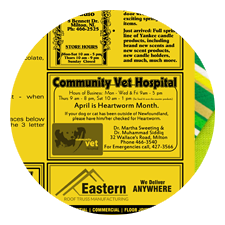 Advertisements can be modified weekly to update specials, sales, upcoming events and more at no extra charge. Customer advertisements are rotated on a weekly basis so all businesses get equal exposure in terms of ad layout location. 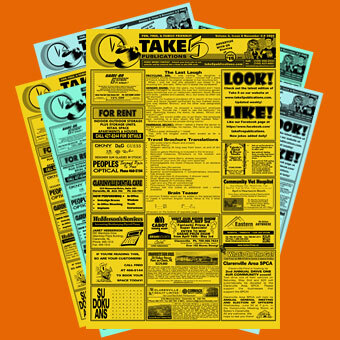 One to Two new customers attracted to you business will easily pay for each weekly ad. 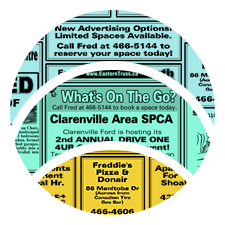 SIGN UP FOR YOUR AD TODAY! View this week’s edition for the current ads and a healthy weekly helping of our great content.